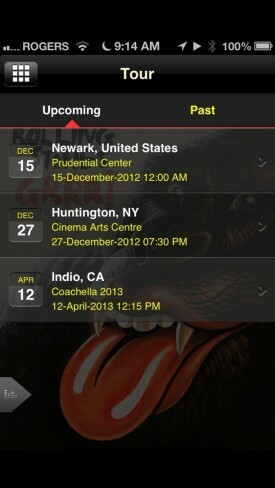 hennemusic hennemusic: Rolling Stones to play Coachella 2013? The Rolling Stones wrapped up their 50 & Counting tour Saturday night in New Jersey. The show, available via pay per view, featured special guests Lady Gaga, Bruce Springsteen, the Black Keys, John Mayer, Gark Clark Jr. and former Stone Mick Taylor. The Jersey concert was the fifth and final date of the mini-tour, and now there’s rumors that there are more concerts to be announced as the band marks its 50th anniversary. On Friday, an April 12, 2013 Coachella Festival date appeared on the official Stones App, only to be taken down hours later; April 12 is the opening day of the festival’s first weekend. A tease? A test? Either way, fans noticed, sharing screen captures of the image and spreading them around the globe. No official 2013 dates have been announced by the Stones, but Keith Richards did hint of more gigs in a Billboard interview last month.